The ancient Chimú believed their people came from three eggs: the rulers from a gold egg, their wives from a silver, and the workers from a copper egg. Archeologist Claire Adams receives a mysterious package that lures her to Peru in search of a treasure-filled tomb. She must find the tomb before looters do. She’s helped in her quest by old friends and by a strange connection to an ancient copper egg. Claire’s ex, Sochi Castillo, has her own plans for the tomb. She has two jobs—one within the law, one considerably outside it. If Claire finds the treasure first, Sochi is going to steal it. As Claire and Sochi are drawn into a web of intrigue, betrayal, and greed, they discover that love complicates everything. This book was a thrill ride, almost Indiana Jones style. How are we supposed to believe archaeology is a lot of boring digging and messy field work, when authors like Friend take us on eventful journeys like this? Claire Adams left Peru in disgrace, nicknamed The Tomb Whisperer because she heard voices of the dead that led her to discovering tombs. She blamed the press's discovery of her ability on her ex, Sochi Castillo. Theirs was not an amiable break up. Now, three years later, Claire receives a package containing ancient Chimù artifacts, and an invitation to find a legendary tomb. Unable to resist the allure, Claire heads back to Peru. She quickly finds out that quite a few people already know about her mission, and everybody wants a piece of the action. She meets up with looters, drug kingpins, ministry agents, friends, and one ex-lover, and along the way starts to find out that the treasure she came back looking for may not be a mythical tomb at all. When people she cares about are threatened or hurt because of her, it opens up a can of worms that point to betrayals and miscommunications that may be the reason behind her loss of job and relationship. Now Claire has to figure out not only what's going on now, but what happened three years ago, and even farther back, when she begins to have visions of a young girl who may just know where the tomb is located. The question is, can she figure everything out before she loses her life, or the life of the only woman she's ever loved? This was a fun read; I really enjoyed it and recommend it to anyone who like a little suspense and action with their romance. This book is great. A very original storyline, and wonderfully fleshed out characters will have you not wanting to put this book down. Highly recommended. The action definitely kept me interested in what was going to happen next. Archaeologist Claire Adams receives a package from Peru containing 3 eggs (copper, silver, and gold) and a note about where the eggs came from. This causes memories to come back from a time in her life she is trying to forget. Claire has a new job with the Smithsonian making sure exhibits get to and from the museum safely. She finds the work she does now boring and the package brings back her love of treasure hunting. She decides to take time off to find the Tomb the eggs came from in Peru. Sochi Castillo is Claire's ex girlfriend. She works for the Peruvian government in preserving tombs and other ancient sites. Looting is so prevalent and the government can't prevent the looters from taking Peru's treasures out of the country. Sochi has to take on another job by night stealing the artifacts before the looters to keep them in Peru. I really enjoyed this book. Overall this is a good book with action, adventure and romance. I definitely recommend it. I'm recommending this book to my friends who like Indiana Jones and are gay for Lara Croft. Or just gay. Fun and realistic interactions between all the characters. Loved the main protagonist's relationship with her boss! 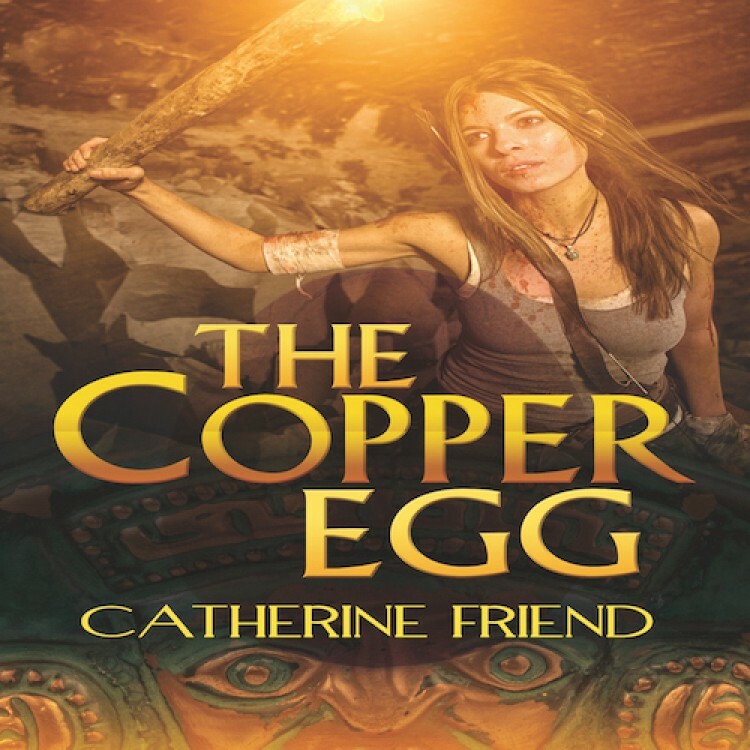 The Copper Egg is set in Peru where archaeologist Claire Adams has returned to try to find the tomb of a long dead famous ruler. She's also is hoping to make amends with her ex, Sochi Castillo. What she finds is that tombs are being looted, and the treasures inside sent out of the country. There is much happening in Peru, as Claire is being followed by three different people. There is intrigue, betrayal, and greed involved, and Claire is betrayed by someone she thought was a close friend. Woven throughout the story is quite a bit of the history of Peru, along with wonderful descriptions of the country. Claire and Sochi are both The Copper Egg is set in Peru where archaeologist Claire Adams has returned to try to find the tomb of a long dead famous ruler. She's also is hoping to make amends with her ex, Sochi Castillo. What she finds is that tombs are being looted, and the treasures inside sent out of the country. There is much happening in Peru, as Claire is being followed by three different people. There is intrigue, betrayal, and greed involved, and Claire is betrayed by someone she thought was a close friend. Woven throughout the story is quite a bit of the history of Peru, along with wonderful descriptions of the country. Claire and Sochi are both bright, likable characters and It's fun to see them repairing their relationship. I really enjoyed this book, as I have every one of Catherine Friend's novels.to see them repairing their relationship. I really enjoyed this book, as I have every one of Catherine Friend's novels.